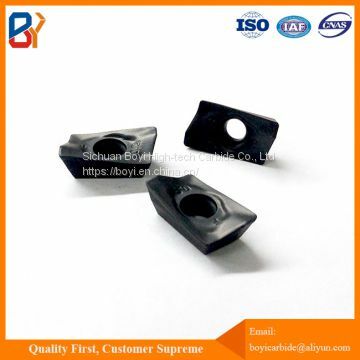 *Besides ISO standards, non-standard cemented carbide tips and can be produced according to customer's requirement or drawing either. 1. Up to 30% higher productivity and profitability. Achieve higher metal removal rates. 2. Coated surface enable to get longer tool life. 4. Versitility: because our products are reliable to be used in most applications to cut cast iron, stainless steel, steel and super hard materials, workpieces can be quick and easily changed without swaping cutters, improve efficiency and much more profitable. 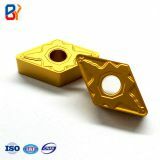 Machining of cast iron, nonferrous alloy, chill cast iron, hard steel, stainless steel, plastic materials, fiberglass, carbon fiber and other non-metallic. Aerospace, Transportation, Medical Equipment, Military Manufacturing, Mold Development, etc. If you have any question regarding packing, payment terms and delivery time, please kindly click Send to know more details. 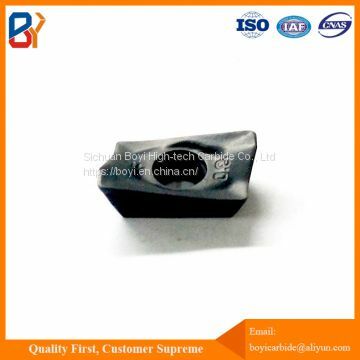 Sichuan Boyi High-tech Carbide Co., Ltd. has complete production line for carbide blanks and grinded finishing products. The company is committed to the research and development of the base material, chip breaker, surface treatment and coating process of carbide inserts, and now is becoming specialist of CNC carbide cutting tools. 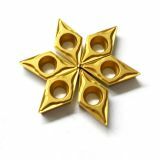 We carry out strict quality control system, and our factory has passed ISO 9001:2008 certificate. 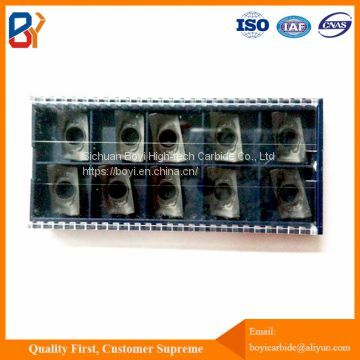 We can provide an overall solution and select the most suitable chip break and material grade according to your application. 2. Every piece of product goes through in-process and final inspection. 3. Every batch of product can be traced. 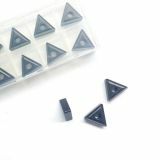 *To check the availability of the inserts you need, please kindly Send enquiry to us, we will reply you within 1 working day. Besides, we can also make customized products according to your drawing. 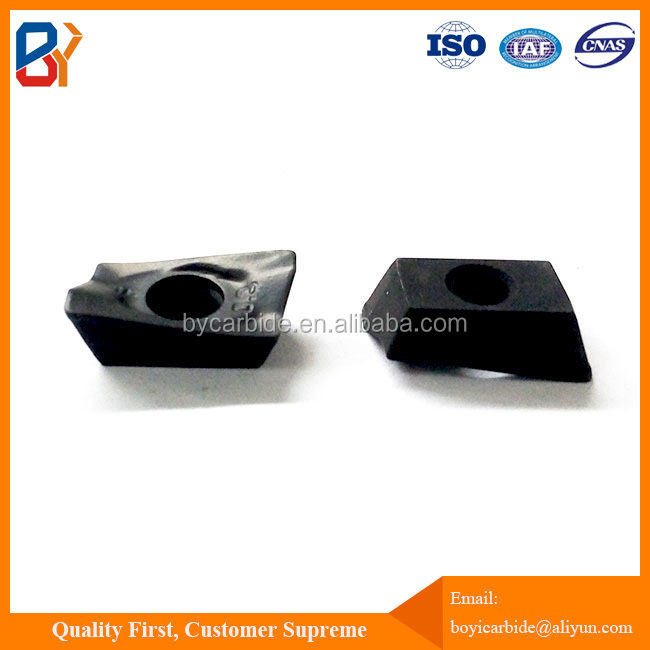 *Besides producing blank products, fine finished proudcts, we also supply services of fine grinding and making of carbide mixture powder. If you want to get catalogue or quotation, please click Send now! !